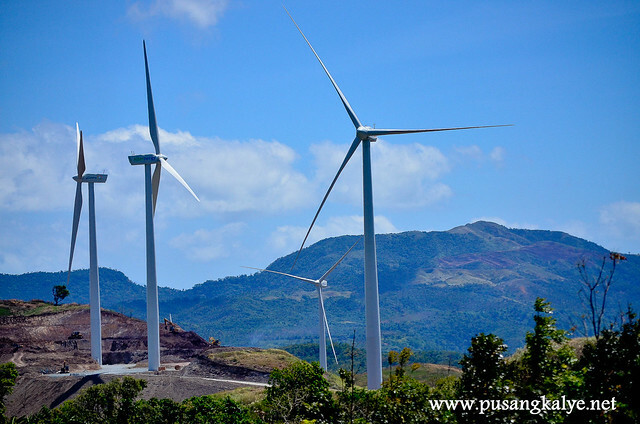 Why go as far as Bangui if there is already a wind farm in Pililla Rizal? 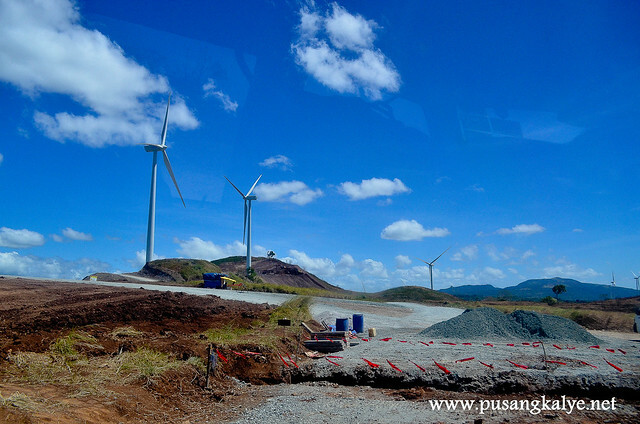 Yes, the same company which operates Bangui Windmills in Ilocos Norte is constructing a wind farm in Rizal and it is not yet operational but one can already see the completed towers up close. This post will tell you how. 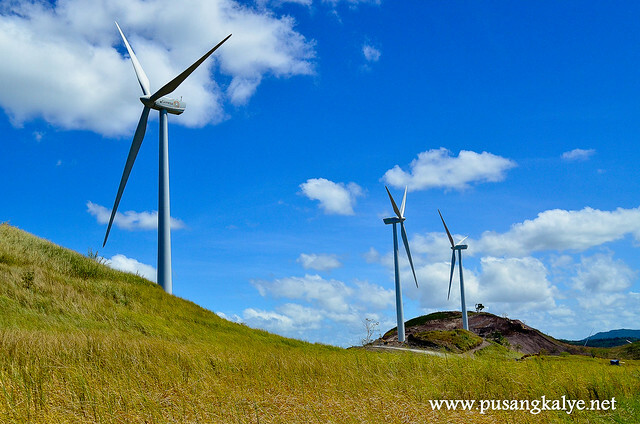 Pililla Windmills in Rizal are on top of the hills overlooking the beautiful plains of Tanay Rizal on one side and Laguna on the other. 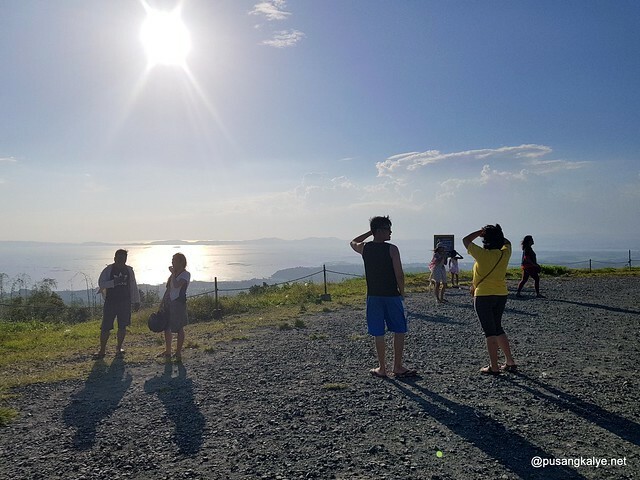 Of course you also get a very good view of Laguna de Bay. 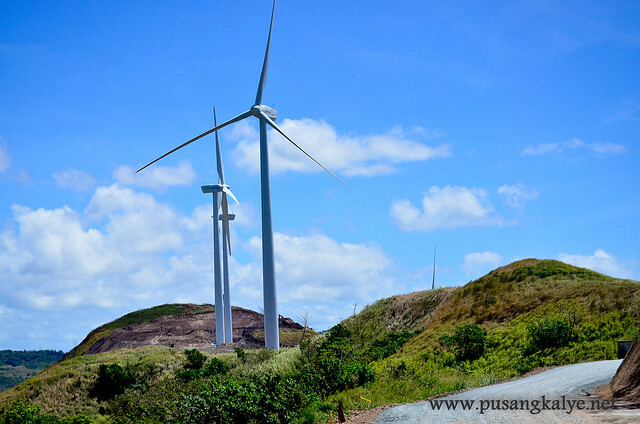 This is a welcome development in terms of renewable energy and a sure boost for local tourism in Rizal Province. I actually noticed about this while driving through the highest section of my village in Binangonan Rizal. I immediately googled it and to my surprise, nobody has blogged about it. Expected Start of Operations: mid 2015. 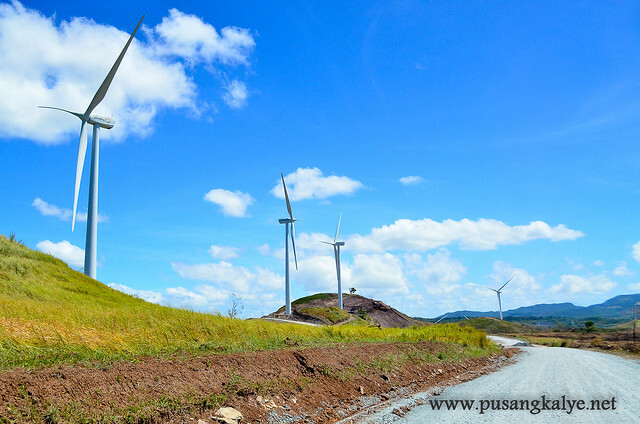 Pililla Wind Farm/ Pililla Windmills. 3. At the intersection of Sampaloc, take the road which leads to Real Quezon. Locally, the most famous attraction along this road is JE Camp where Erap was to serve house arrest. Ask locals for directions. 4. Roughly 1km from Sampaloc intersection, look for Sampaloc Inn on the left. That is your hint. 5. Then look for the first waiting shed on the right which is only a few meters away from Sampaloc Inn. 6. Make a right turn -- Masalat Road. At the corner is a small shop named My Little Store Pasalubong Center and Coffee Shop. 7. A few meters after turning right, turn left. 8. Follow that road and the end section will be Pililla Wind Farm. Note: around 45% of the road is rough. Small cars are not advisable. We went here via 4×4 and it was still bumpy and some sections require careful driving. 2. At the intersection of Sampaloc, take a tricycle. They know where the facility is. Note: Tricycles usually charge 200 pesos to get here. The ride takes 25 minutes. Try to haggle for 180 or even 150 pesos per tricycle. I have seen Bangui Windmills and I noticed that their windmills are really tall. I think 50% higher than the ones in Pililla. The poles need not to be elevated too high here because the area is already high to start with. 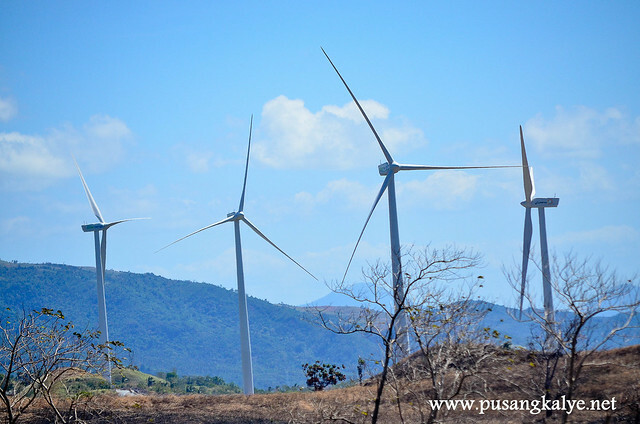 Bangui has a different appeal because of the beach location and the good alignment of the windmills. Equal spaces in a single line. That makes for a very dramatic effect on photos. The Windmills of Pililla are rather scattered on the mountain so you don't get so much of a pattern except for around four or so. The grassland though makes for a dramatic backdrop and the rolling slopes around. We went here early March so the grass are already turning gold. Lakas maka Windows wallpaper ang peg. 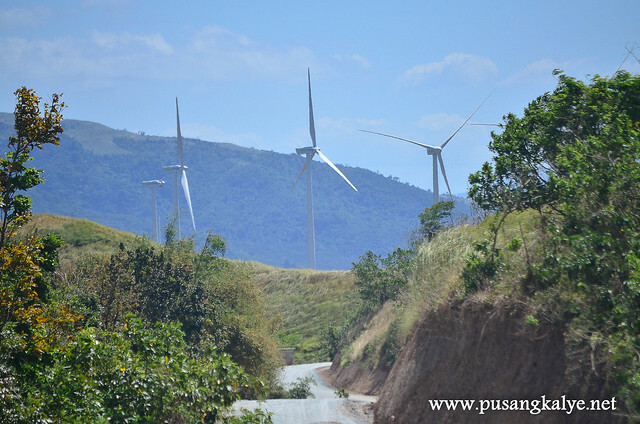 Pretty soon, some resort in upper Tanay including Martessem Mountain Resort will offer tour packages to the wind farm. I will update this post for package rates soon. For now, take the chance to enjoy the wonderful eye level view. They might close the road leading closer to the windmills when the facility starts operating mid this year. This is just awesome! I live in Rizal. Not too long from now I'll be able to see windmills up close without traveling too far from home. Thanks for sharing! Can't wait for updates. Nice view. 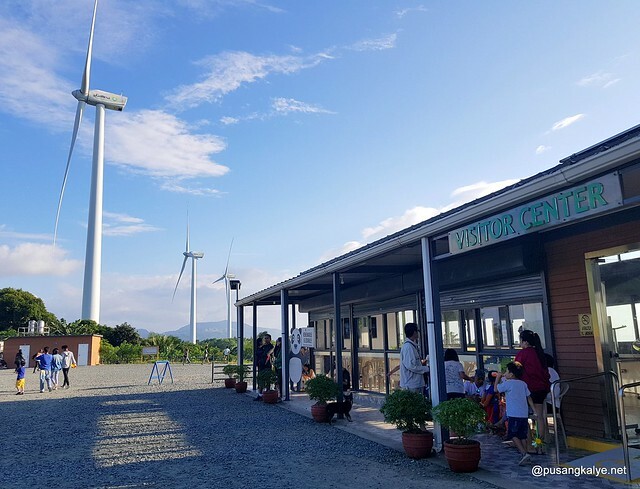 Say, this seems a good alternative to drop by in case you're impatient in those long travelling hours like going up North just to reach the Bangui windmills. I wonder though, they looked strategically perfect considering the wind direction, the terrain level, and even the aesthetic appeal once you get there. hi ! do you have the google map coordinates ? 1.Follow the Manila East Road all the way to Pilillla. The Manila East Road passes through the towns of Taytay, Angono, Binangonan, Cardona, Morong, Baras and Tanay before Pililla. 2.From Quezon City, we passed through Antipolo via Sumulong Highway to get to Manila East Road. 3.When you reach a fork in the road, take the left fork going towards Mabitac, Famy & Real, not towards Jala-Jala. 4.This is an uphill road. 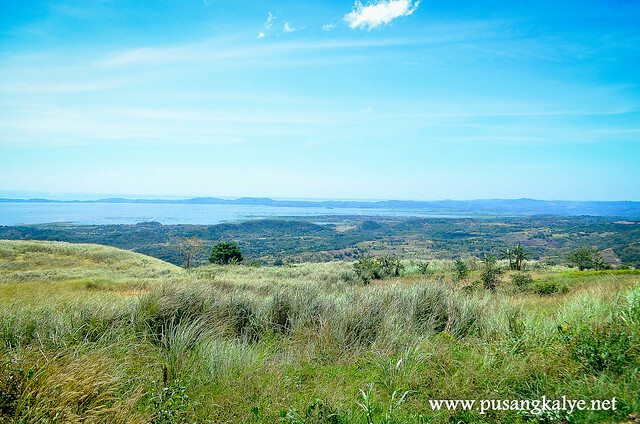 When you reach the overlooking point of Laguna Lake, you’re relatively near. You’ll pass a power plant. 5.Turn left along the highway when you see a wide gravel area leading up to the windmill’s major construction site (there’ll be a guy flagging you). 6.There’ll be a short stretch of mostly rough road. This is accessible to all types of vehicles including cars, tricycles, motorcycles and bicycles. Watch out for construction trucks. NOTE: I read there is also a route via Sampaloc in upper Tanay but roads are still rough and it’s only advisable for 4 x 4 vehicles. 1.By motorcycle, I prefer passing the Marilaque route that connects to Manila East Road. 2.When you get to Pranjetto Hills, take the road on the right leading to Tanay. 3.When you get to an intersection, turn right on the road. You will pass by Daranak Falls & Calinawan Cave on your right. 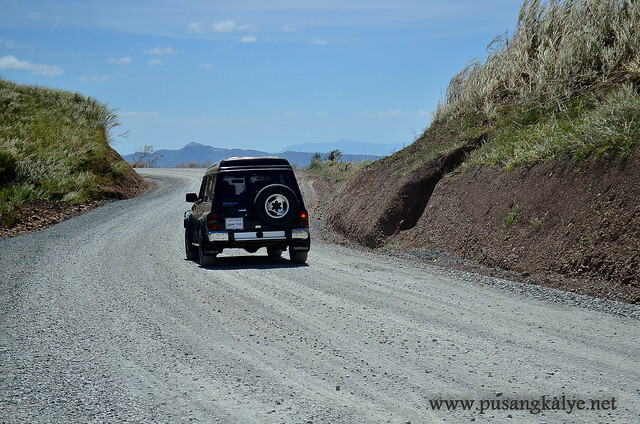 4.Once you reach a gas station, turn left heading to Pililla. This is Manila East Road. 5.You’ll pass by several restaurants along the road and can see the windmills along the highway. 6.Take the left fork going towards Mabitac, Famy & Real and continue uphill until you reach the windmills. 1.From Starmall FX / Van Terminal in Shaw Boulevard or Araneta Center, Cubao, you can ride a jeep or van going to Tanay, Rizal. From Starmall, the vans GT-express fare is P70. 2.Get down at the junction or the Tanay Public Market in Sampaloc. Travel time is about 2-3 hours depending on traffic. 3.From Tanay, transfer to another jeep going to Pililla. This will take 30-45 minutes Fare is P20-50. 4.Hire a tricycle going to the Wind Farm. Rates are negotiable. It’s better if you’re in a group so you can split the costs. Thanks for info. ok kaya mag overnight doon? Lagi ko yan natatanaw sa mayagay sa ibabaw ng bundok.ang ganda tapos ang lamig ng hangin sa tuktok . Thanks for this one!! Will visit soon!!! Open na ba ito sa public? Magbasa ka naman, complete na nga detalye eh. 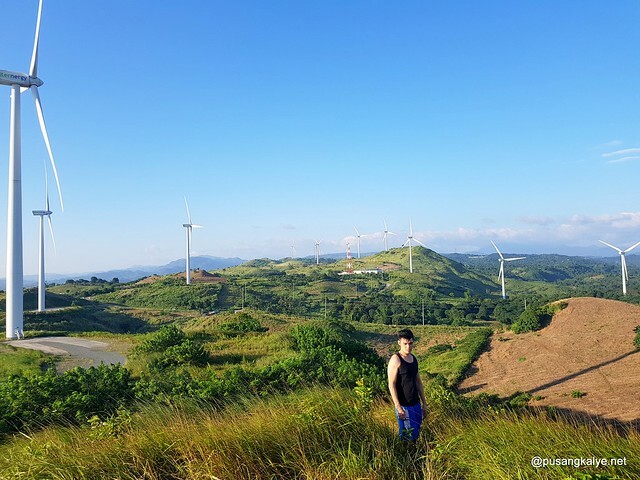 Pililla Windmills in Rizal are on top of the hills overlooking the beautiful plane of Tanay Rizal on one side and Laguna on the other....it is PLAINS, not plane. Plane word is used for wood surface or airplane. 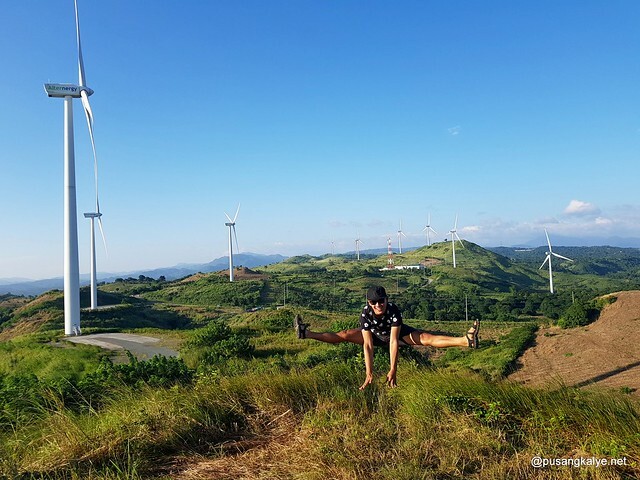 I have seen Bangui Windmills and i noticed that there windmills are really tall. I think 50% higher than the ones in Pililla. The polls need not to be elevated too high here because the area is already high to start with..it should be POLES, not polls. Polls is a substitute word for ELECTIONS. Poll literally means count, just like Gallup Poll, once a very famous and influential political and social survey institution. Mga sir ask lng po ilang mins po ba yan from daranak kung naka motor po kme?? ty. .
wow, this is what we need in P.I alternative or renewable energy. If your frequent traveller to EU country this is a common thing along the road and by the sea. I work in one GMS project laying power cable. Sir, Can you please provide the exact latitude and longitude of the windfarm? Hello! Just want to ask if there is any area or place here good for picnic or good as a tambayan? Is the road going to windmill still rough road? Nice.. I'm planning to go there on saturday! Alam niyo po ba kung paano ang byahe mula SM lipa grand terminal? Tsaka kung magkano magagastos? Salamat po.. I was there last week! Awesome place! may entrance po ba jan? May entrance po ba? and til what time po sya open? thanks! hi. 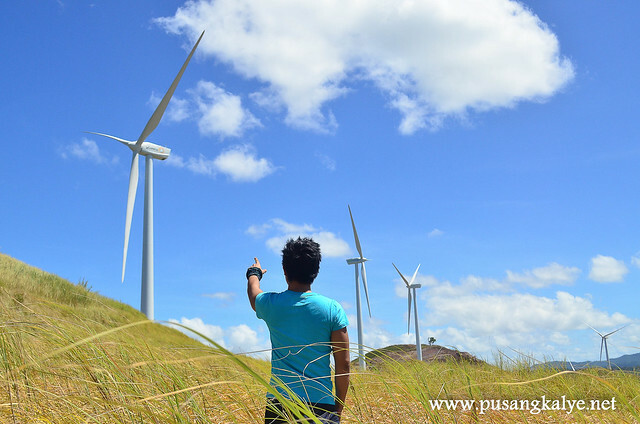 i need high resolution of pililia windfarm, i saw your pics when i search in google. is it ok if i used it? or if you have a better resolution, can you allow me to use it? its for a desk calendar...rizal tourist spots. lemme know of your thoughts.